From 7 AM to 10PM on Tuesday, March 7th, all 5 IHOP locations will be offering guests the opportunity to enjoy unlimited servings of their world famous buttermilk pancakes for only P250, to enjoy in the restaurant. P 200 out of the P 250 generated from those pancakes will once again be donated to the Kythe Foundation, which provides children with cancer and chronic illnesses the chance to learn, play, and grow while in treatment, even if they’re in the hospital. 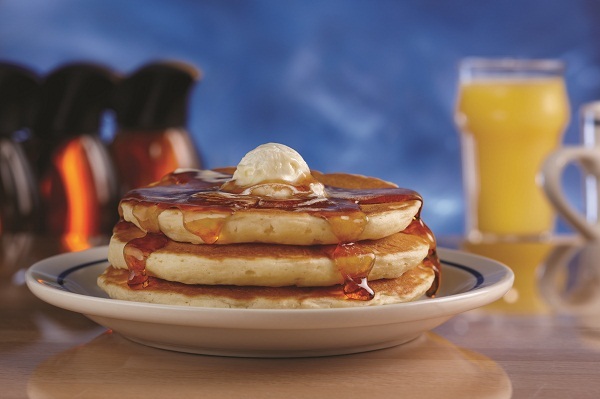 National Pancake Day began in the United States in 2006 and in the past decade has raised $20 million dollars for children’s health charities in the local communities. Last year, IHOP Philippines joined the celebration, raising nearly P400,000 for the local Kythe Foundation charity. 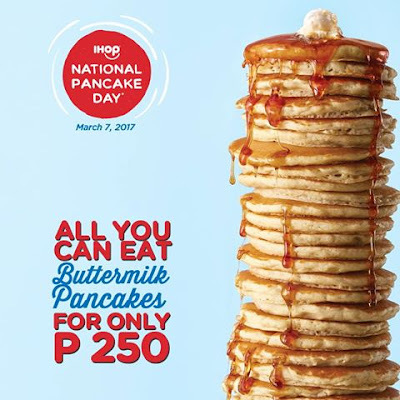 “Last year, IHOP Philippines, with the public’s generous and kind hearted support, was able to raise nearly P 400,000 for the Kythe Foundation Charity through our National Pancake Day initiative. This year, we are once again elated to take part in IHOP’s arguably most popular and clearly most impactful tradition,” said Archie Rodriguez, CEO of Global Restaurant Concepts Inc., IHOP restaurant franchisee in the Philippines.